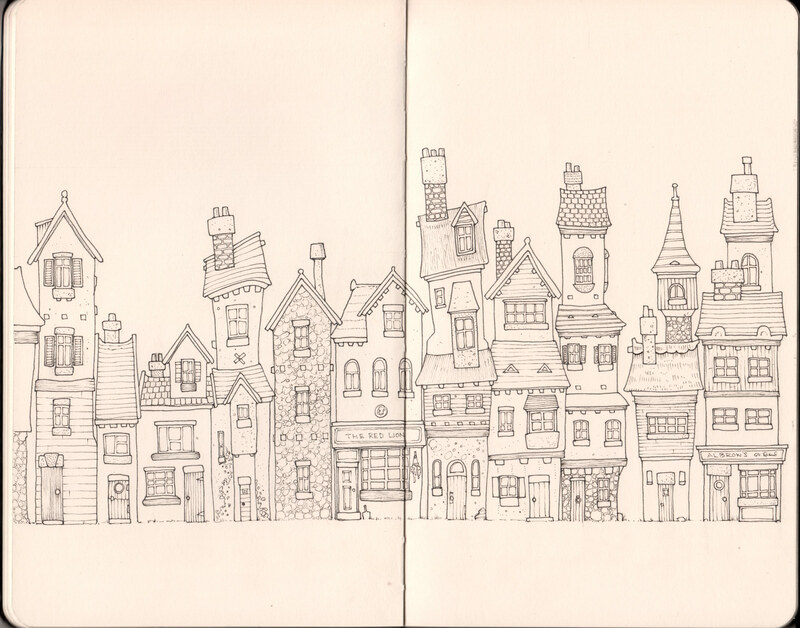 Continuing my doodles of odd little medieval/Tudor/olde/fantasy streets and buildings. 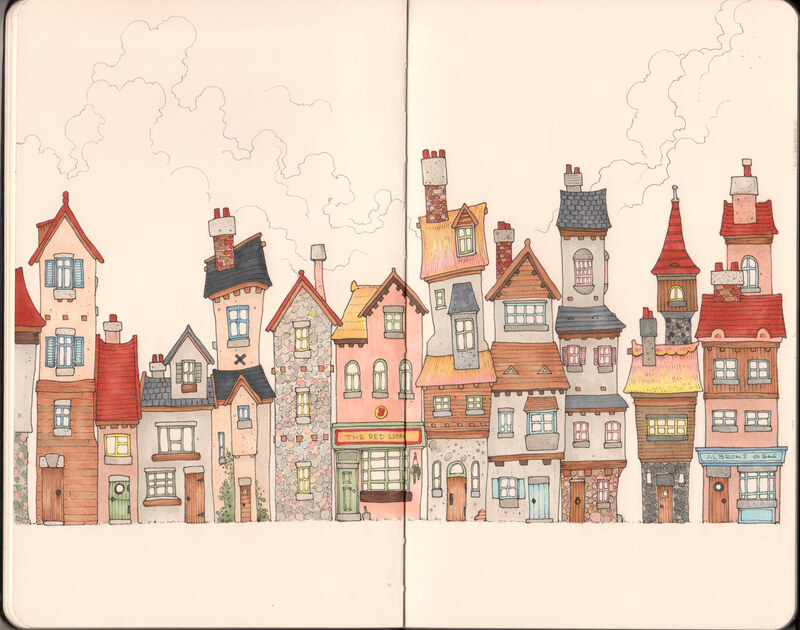 Drawn in pencil, inked with a Copic Multiliner and Staedtler Pigment Liners, coloured with Copic Markers. All in a Moleskine sketchbook. I do love Moleskins but I wish the paper was a little whiter. I love it and sorry have to vote on the taupe colour paper, it accentuates the drawings rather than takes over much prefer to white. You have chosen a good colour scheme to go with the off white paper, but I agree with you about white. It gives me gives more freedom and intensity when using colour. Thanks for sharing your equipment and techniques. I enjoy your work and find it all helpful. Absolutely wonderful – it reminds me of the work of Gary Chalk.